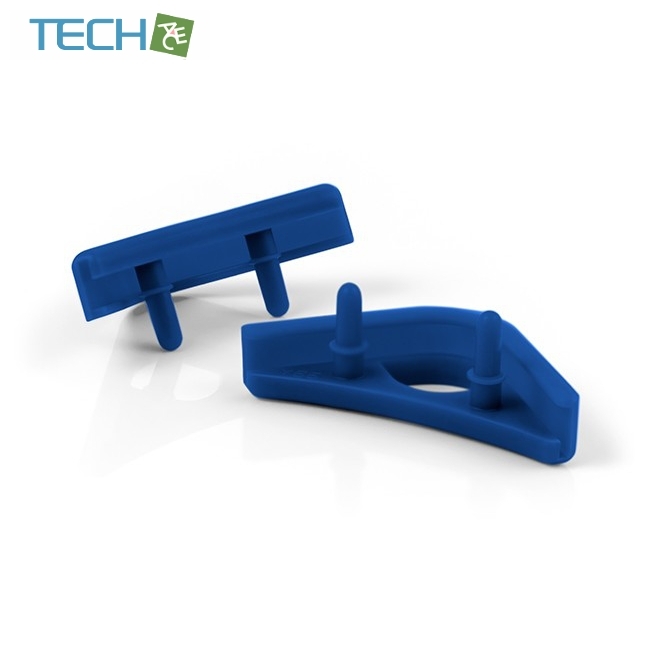 The NA-SAVP1 chromax.blue is a fan accessory set consisting of 16 blue NA-AVP1 anti-vibration pads for up to 2 compatible 120/140mm fans (see compatibility info). Made from extra-soft silicone, the NA-AVP1 pads minimise the transmission of minute vibrations while maintaining full compatibility with standard fan screws and most other mounting systems. 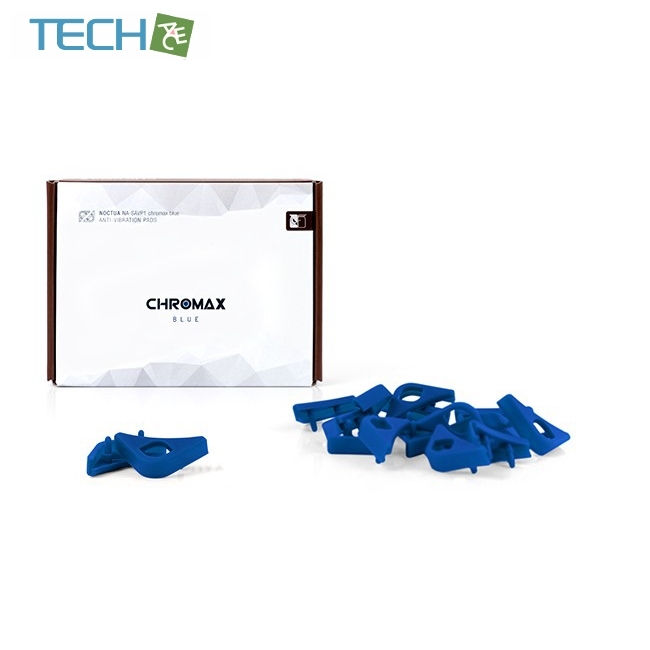 At the same time, the chromax.blue edition is ideal for creating all-blue builds with Noctua’s industrialPPC fans. The NA-AVP1 anti-vibration pads are compatible with the Noctua fans listed here. Please note that the NA-AVP1 pads cannot be used with other fans and are not compatible with third-party fans. Fans can transmit minute vibrations to the PC case, CPU cooler, water-cooling radiator or other devices they’re installed in, which can lead to annoying resonance noises. The NA-AVP1 pads can help to reduce the transmission of structure-borne noises and thus lower your PC’s overall noise level. The use of premium-grade silicone makes the NA-AVP1 pads both extra soft and highly tear-proof, allowing them to combine efficient decoupling with excellent longevity and ease of use. 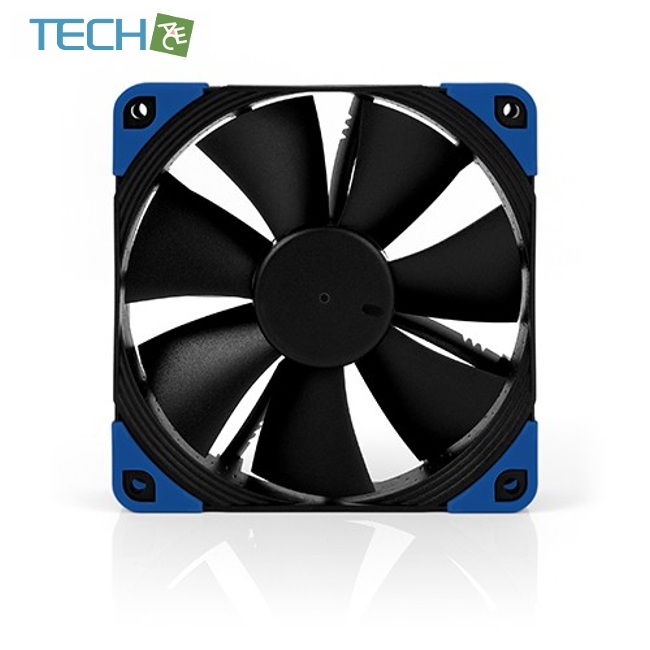 The NA-AVP1 pads are compatible with many popular Noctua 120 and 140mm fan models and are particularly suited for colour-coordinating blue industrialPPC models to specific build themes. Please see our compatibility information for details. Maximising colour choices, Noctua’s chromax accessories give users the option to colour-customise their fans in order to create PC builds with specific, focused aesthetics. Red, blue, green, yellow, black and white versions make it possible to match today’s most popular build colour schemes. The NA-AVP1 pads are compatible with many popular Noctua 120 and 140mm fan models and are particularly suited for colour-coordinating black industrialPPC models to specific build themes. Please see our compatibility information for details.